Our primary mission is to provide military, government, law enforcement and corporations the advanced training necessary to prevent or respond to a terrorist attack. 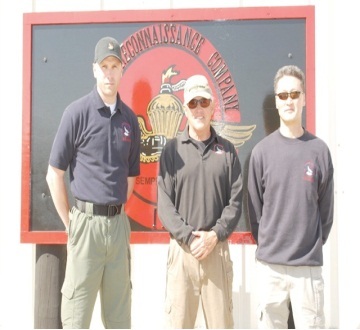 Our secondary mission is to provide defensive firearms , edged weapons, wilderness and urban survival training to select corporate and civilian clients. 1. "In this world there are tigers." (This Kind of War) We believe that our nation still faces a serious terrorist threat. We cannot wish it away nor let down our guard - we must be prepared. The vigilance of local law enforcement and the situational awareness of citizens are key to preventing an attack. 2. "The right of the people to keep and bear arms shall not be infringed." (US Constitution) The right of self defense is God-given and is the most important right of all. Everyone should practice self reliance and be capable of defending themselves and their family. 3. "Know your sword." (Book of Five Rings) If you are going to carry a weapon, whether you are an elite military warrior, SWAT team member, or common citizen, you must master it.